National Martini Day is in June, but martinis are a go-to drink year round. Herb-infused cocktails are becoming more popular are people look for ways to change up the taste of signature cocktails and add freshness and flavor that only fresh herbs can provide. Traditionally, martinis are made with gin or vodka and vermouth with bitters and an olive or lemon peel as garnish. This martini recipe skips the vermouth and uses a bit of hibiscus tea to create a unique and delicious vodka cocktail. Also called a tartini, owing to the use of lime juice, this drink can be garnished with a twisted lime peel. Pour vodka and other ingredients into a mixing glass. Add ice and shake vigorously for 7 to 8 seconds. Strain into a chilled martini glass. Garnish with a hibiscus flower or edible orchid. To make the hibiscus syrup, bring 1 cup of water to a boil. Add 2 tablespoons of hibiscus tea. Let steep for 10 minutes. Take the tea bag out and add 1 cup of superfine (not powdered) sugar. Stir until all the sugar dissolves. Keep refrigerated until ready to use. Fruit garnishes: Fresh fruit is also gaining traction as a way to vary the taste of a martini. Cucumber, lychee, pear, and passion fruit are some off-the-beaten-path fruits that can add zest to a traditional martini recipe. Other fun garnishes: A garnish is the proverbial icing on the "martini" cake when that flimsy paper umbrella simply will not do. Some unique garnishes to add to your martini can include lemongrass spears, a sprig of rosemary or mint, Sriracha salt rim (if you really want to bring the heat), a lollipop in a complementary flavor, and herbed or fruit ice cubes. Unique ice cubes: Make herbed or fruit ice cubes by adding mint, parsley, basil, or other herbs or chunks of fresh fruit to the water in ice cube tray. Freeze as usual. Other teas you can use: If you do not have hibiscus tea, you can use a simple black tea bag, chamomile, or green tea bag. Add herbs: In addition to tea, herbs such as lavender, rosemary, and lemon balm are being used to infuse some flavor into martinis. Take a traditional martini recipe and simply muddle mint, minced lemon balm, or garnish with lavender and you dial up the class (and the glass) of a martini cocktail recipe. Add heat with spices: Spices are being added to martinis to give the wow factor. Ginger, cayenne pepper, and black pepper are spicing up alcoholic cocktails to offer up some extra bite in each sip. 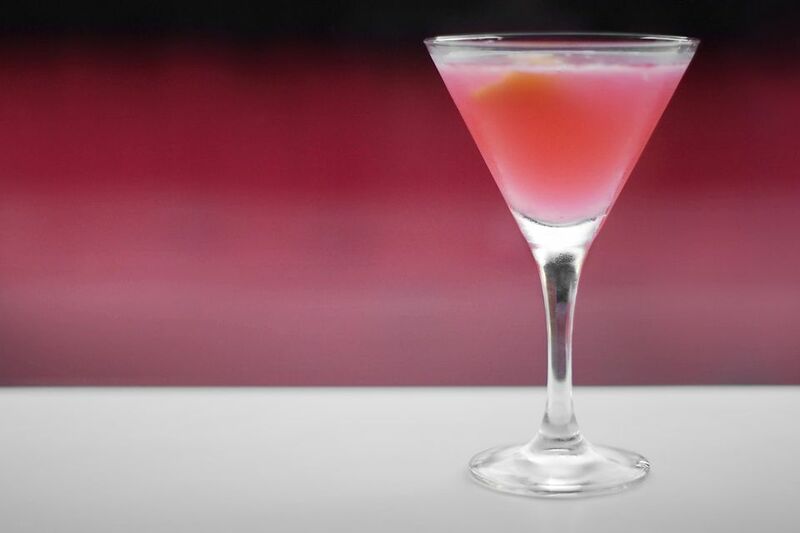 Light, Fruity and Blue... You'll Fall for the Dafne Martini, Too!